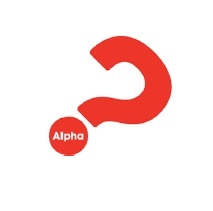 Alpha is a series of sessions exploring the basics of Christian faith. Typically run over eleven weeks, each session looks at a different question that people can have about faith and is designed to create conversation. It’s just an open, informal, and honest space to explore and discuss life’s big questions together. Prince of Peace will begin our Alpha program on Monday mornings beginning February 25, 9:00 a.m. to 11:00 a.m., through May 13. Beginning each week at 9:00 a.m. with light breakfast snacks and coffee, we will then present a short video bout 30 minutes long featuring the beautiful Alpha Film Series with the world as a backdrop followed by a small group discussion until 11:00 a.m.
Big issues around faith are explored and the basics of Christianity are unpacked addressing such questions as, How should I pray? Who is Jesus? and How can I have faith? This is followed by friendly small group conversation. There is no obligation to say anything and there’s nothing you can’t say. It’s an opportunity to hear from others and contribute your own perspective in an honest, friendly, and open environment. Click here to view a video about Alpha.